Welcome to my complete beginner’s guide to What is Cryptocurrency. The short and easy answer to the title question is that cryptocurrency is decentralized digital money. But what exactly does that mean and how does it work? In this guide, I will answer all the questions you have about cryptocurrency. I’m going to tell you when it was invented, how it works and why it’s going to be so important in the future. By the end of this guide, you’ll be able to answer the question, “what is cryptocurrency?” for yourself. The world of cryptocurrency moves fast so there’s no time to waste. Let’s get started! 6 How Does Blockchain Work? 8 So, What is Cryptocurrency Mining For? 10 The Rise of Cryptocurrencies! 12 Can Cryptocurrency Save the World? 13 Final Thoughts: What is Cryptocurrency? Miners try to solve mathematical puzzles first to place the next block on the blockchain and claim a reward. An exchange is a business (usually a website) where you can buy, sell or trade cryptocurrencies. Cryptocurrency wallets are software programs that store public and private keys and enable users to send and receive digital currency and monitor their balance. Digital: Cryptocurrency only exists on computers. There are no coins and no notes. There are no reserves for crypto in Fort Knox or the Bank of England! Peer-to-Peer: Cryptocurrencies are passed from person to person online. Users don’t deal with each other through banks, PayPal or Facebook. They deal with each other directly. Banks, PayPal and Facebook are all trusted third parties. There are no trusted third parties in cryptocurrency! Note: They are called trusted third parties because users have to trust them with their personal information in order to use their services. For example, we trust the bank with our money and we trust Facebook with our holiday photos! Pseudonymous: This means that you don’t have to give any personal information to own and use cryptocurrency. There are no rules about who can own or use cryptocurrencies. It’s like posting on a website like 4chan. Trustless: No trusted third parties means that users don’t have to trust the system for it to work. Users are in complete control of their money and information at all times. Global: Countries have their own currencies called fiat currencies. Sending fiat currencies around the world is difficult. Cryptocurrencies can be sent all over the world easily. Cryptocurrencies are currencies without borders! In the early 1990s, most people were still struggling to understand the internet. However, there were some very clever folks who had already realised what a powerful tool it is. Some of these clever folks, called cypher punks, thought that governments and corporations had too much power over our lives. They wanted to use the internet to give the people of the world more freedom. Using cryptography, cypher punks wanted to allow users of the internet to have more control over their money and information. As you can tell, the cypher punks didn’t like trusted third parties at all! The world would have to wait until 2009 before the first fully decentralized digital cash system was created. Its creator had seenthe failure of the cypher punks and thought that they could do better. Their name was Satoshi Nakamoto and their creation was called Bitcoin. 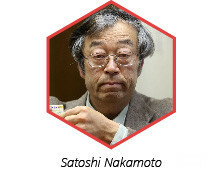 No one knows who Satoshi Nakamoto is. It could be a man, a woman or even a group of people. Satoshi Nakamoto only ever spoke on crypto forums and through emails. In late 2008, Nakamoto published the Bitcoin whitepaper. This was a description of what Bitcoin is and how it works. 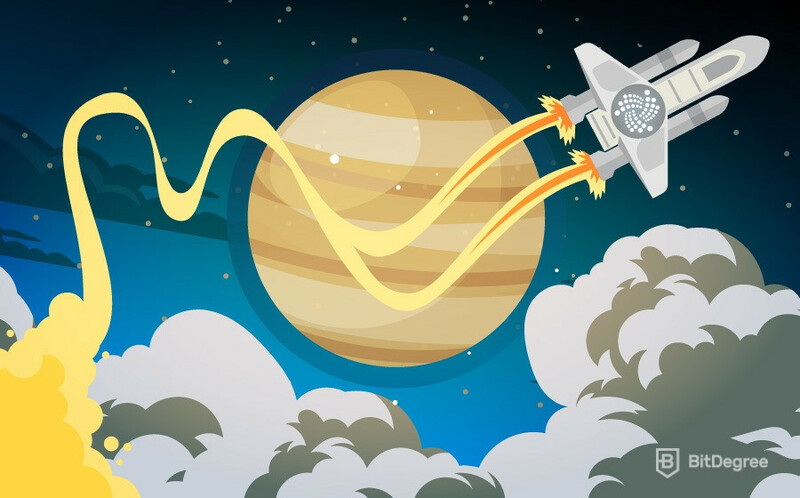 It became the model for how other cryptocurrencies were designed in the future. On January 12, 2009, Satoshi Nakamoto made the first Bitcoin transaction. They sent 10 BTC to a coder named Hal Finney. By 2011, Satoshi Nakamoto was gone. What they left behind was the world’s first cryptocurrency. Bitcoin became more popular amongst users who saw how important it could become. In April 2011, one Bitcoin was worth one US Dollar (USD). By December 2017, one Bitcoin was worth more than twenty thousand US Dollars! Today, the price of a single Bitcoin is 7,576.24 US Dollars. Which is still a pretty good return, right? 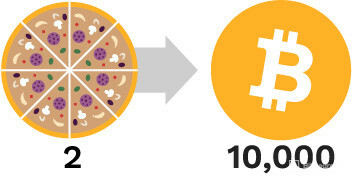 In 2010, a programmer bought two pizzas for 10,000 BTC in one of the first real-world bitcoin transactions. Today, 10,000 BTC is equal to roughly $38.1 million – a big price to pay for satisfying hunger pangs. All cryptocurrencies use distributed ledger technology (DLT) to remove third parties from their systems. DLTs are shared databases where transaction information is recorded. The DLT that most cryptocurrencies use is called blockchain technology. The first blockchain was designed by Satoshi Nakamoto for Bitcoin. A blockchain is a database of every transaction that has ever happened using a particular cryptocurrency. Groups of information called blocks are added to the database one by one and form a very long list. So, a blockchain is a linear chain of blocks! Once information is added to the blockchain, it can’t be deleted or changed. It stays on the blockchain forever and everyone can see it. The whole database is stored on a network of thousands of computers called nodes. New information can only be added to the blockchain if more than half of the nodes agree that it is valid and correct. This is called consensus. The idea of consensus is one of the big differences between cryptocurrency and normal banking. George owes 10 USD to both Michael and Jackson. Unfortunately, George only has 10 USD in his account. He decides to try to send 10 USD to Michael and 10 USD to Jackson at the same time. The bank’s staff notice that George is trying to send money that he doesn’t have. They stop the transaction from happening. The bank stopped George from double spending which is a kind of fraud. Banks spend millions of dollars to stop double spending from happening. What is cryptocurrency doing about double spending and how do cryptocurrencies verify transactions? Remember, they don’t have staff like the bank does! 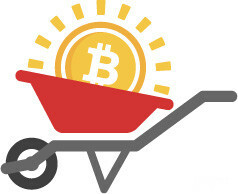 Cryptocurrency transactions are verified in a process called mining. So, what is cryptocurrency mining and how does it work? Cryptocurrency mining might sound like something you do with a shovel and a hard hat but it’s actually more like accounting. 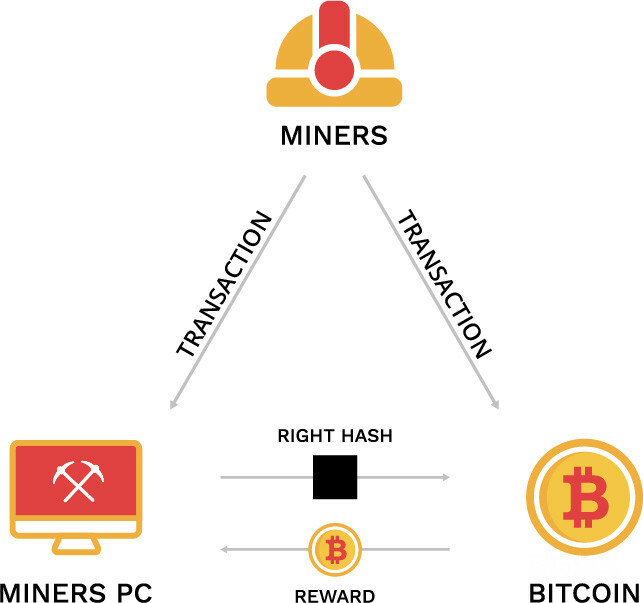 Miners are nodes that perform a special task that makes transactions possible. I’ll use an example to show you how it works using the Bitcoin network. George owes Michael 10 BTC. George announces that he is sending Michael 10 BTC to the Bitcoin network. Miners take the information and encrypt it. This is called hashing. To this information, they add other transaction information and hash that too. More and more information is added and hashed until there is enough to form a block. The miners now race against each other to guess the encrypted code or block hash that will be given to the new block before it’s added to the blockchain. The lucky miner that guesses the right code gets to add the new block to the blockchain. Now, all the other nodes on the network verify the transaction information in the new block. They check the whole blockchain to make sure that the new information matches. If it does, then the new block is valid, and the winning miner can add the new block to the blockchain. This is called confirmation. Michael receives 10 BTC from George. Mining cryptocurrency uses a lot of computer power, so miners are rewarded for the work they do. On the Bitcoin network, miners who confirm new blocks of information are rewarded with 12.5 BTC of new Bitcoin. This is why it’s called mining. Instead of mining for gold or coal crypto, miners are digging for new Bitcoin! So, What is Cryptocurrency Mining For? It’s the way cryptocurrency networks like Bitcoin verify and confirm new transactions. It stops double spending without theneed to trust centralized accounting like banks do. Cryptocurrency blockchains aren’t secured by trust or people. They are secured by math done by computers! For more information, check out my Blockchain Explained guide. Using cryptocurrencies isn’t like using a fiat currency. You can’t hold cryptocurrency in your hand and you can’t open a cryptocurrency account. Cryptocurrency only exists on the blockchain. Users access their cryptocurrency using codes called public and private keys. It’s a bit like sending emails. If you want someone to send you an email, you tell them your email address. Well, if you want someone to send you cryptocurrency, you tell them your public key. Now, if you want to read your emails or send an email, you need to enter your email password. This is how private keys work. Private keys are like passwords for cryptocurrency. Public keys can be seen by anyone, but private keys should only be seen by you. If there is one paramount detail you should learn from this What is Cryptocurrency guide, it’s that keeping your private keys safe is extremely important! Private and public keys are kept in wallets. Crypto wallets can be online, offline, software, hardware or even paper. Some can be downloaded for free or are hosted by websites. Others are more expensive. For example, hardware wallets can cost around a hundred US Dollars. You should use several different kinds of wallets when you use cryptocurrency. Whoever has the private and public keys owns the cryptocurrency, so don’t lose your wallets! Cryptocurrency is pseudonymous, remember? There is no way to prove you own cryptocurrency unless you have the keys to it. Bitcoin changed the way people think about money. Hundreds of other cryptocurrencies have been created since and they all want to change the world! Litecoin is a lot like Bitcoin but its transactions are processed four times faster. Litecoin mining is easier than Bitcoin mining, so users with less powerful computers can become miners. Ethereum uses more advanced blockchain technology than Bitcoin. It’s sometimes called Blockchain 2.0. Ethereum allows its users to design and build their own decentralized applications (dApps) on its blockchain.If Bitcoin wants to replace banks, then Ethereum wants to replace everything else. Ethereum developers can build dApp versions of centralized apps like Facebook, Amazon, Twitter or even Google! The platform is becoming bigger than just a cryptocurrency. So, what is cryptocurrency when it’s not really cryptocurrency anymore? It’s Ethereum! A platform that uses blockchain technology to build and host decentralized apps. 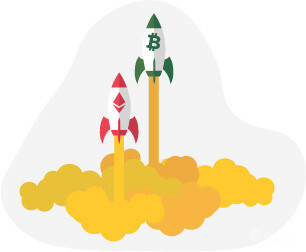 Ethereum has quickly skyrocketed in value since its introduction in 2015, and it is now the 2nd most valuable cryptocurrency by market cap.It’s increased in value by 2,226% in just last year – a huge boon for early investors. Would you like to know more about Ethereum? Check out my What is Ethereum guide. IOTA is a pretty special cryptocurrency, it doesn’t have a blockchain! IOTA uses a DLT called the Tangle. Miners don’t confirm new transactions, users do…When a user wants to make a payment using the Tangle they have to verify and confirm two other user’s transactions first. Only then will their payment be processed. It’s like getting students to grade each other’s homework instead of the teacher doing it. The Tangle is thought to be a lot faster than Bitcoin, Litecoin and Ethereum!If you thought that was weird, check this out — IOTA isn’t even designed to be used by humans! It’s designed for the Internet of Things. That’s any machine with an internet connection. IOTA will help the IoT communicate with itself. IOTA actually means Internet of Things Application.Imagine that! In the future, your driverless car will use IOTA to go to the gas station, fill up with gas and pay. All without any humans being involved. Cryptocurrencies aren’t just for sending money without using a bank. They can do all kinds of cool things. These cryptocurrencies and many others are available to buy and sell on crypto exchanges. So, what is cryptocurrency trading? Buying and selling cryptocurrencies has become a very big business. The total value of all the cryptocurrencies in the world is more than 350 billion US Dollars. Just under 17 billion US Dollars’ worth of cryptocurrency was bought and sold today! 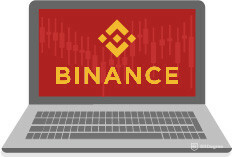 You can trade online with crypto exchanges like Binance, Bitstamp and Coinbase. You can also arrange to trade cryptocurrencies in-person with peer-to-peer sites like LocalBitcoins.com. The cryptocurrency market is an exciting place. Traders can make millions and then lose it all. Cryptocurrencies are created overnight and then disappear just as fast. My advice to any newbie trader out there is to only spend what you can afford to lose. I know I sound like your Grandma, but it’s true! Crypto trading should be used as a way to support the technology and not as a quick way to get rich! 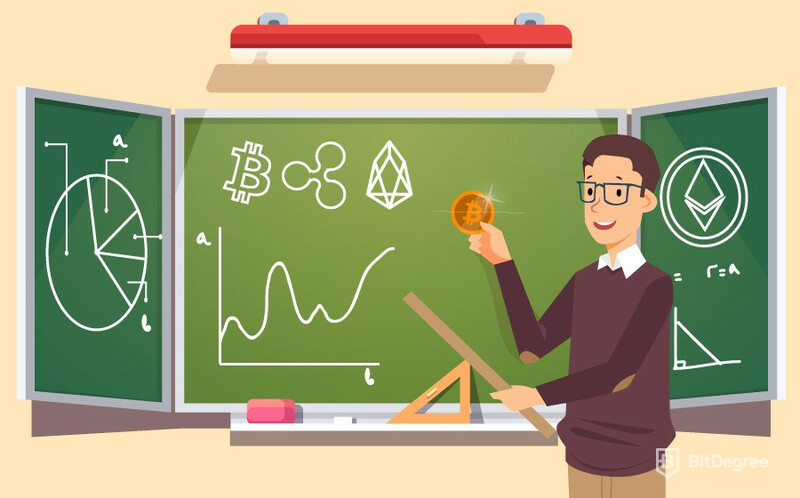 Since you started reading this guide, you’ve been getting closer and closer to understanding cryptocurrency. There’s just one more question I’d like to answer. What is cryptocurrency going to do for the world? Cryptocurrency has a lot of critics. Some say that it’s all hype. Well, I have some bad news for those people. Cryptocurrency is here to stay and it’s going to make the world a better place. Centralized organizations have let us down. In 2008, banks cost taxpayers trillions of dollars and caused the world economy to fall apart. The credit checking agency, Equifax, lost more than 140,000,000 of its customers personal details in 2017. 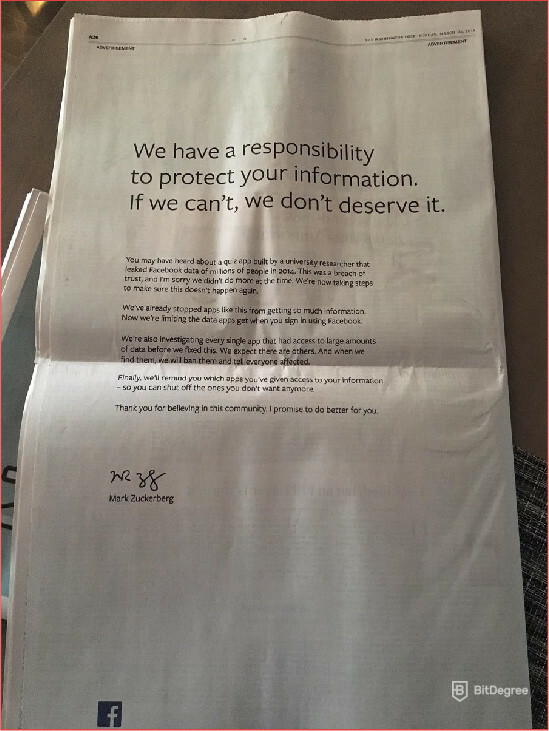 This year, Facebook was forced to apologize for selling its users’ personal data. Cryptocurrencies offer the people of the world another choice. The governments of Syria, Yemen and Libya have all failed to protect their people from violent civil wars. What is cryptocurrency to the people of Syria? It’s hope. Thirty percent of UN Aid is lost to third party corruption so UNICEF has been using Ethereum to raise money for the children of Syria. 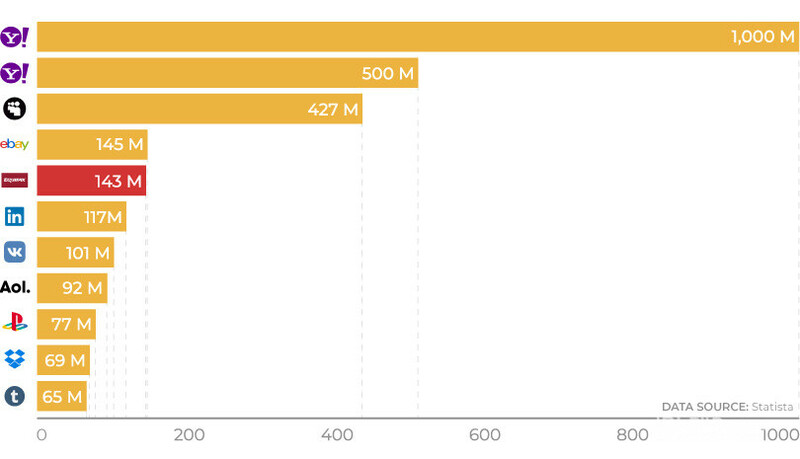 About 2 billion people around the world don’t have bank accounts. One in ten Afghanis are unbanked, many of them women. What is cryptocurrency to an Afghani woman? It’s freedom. Bitcoin is giving women in Afghanistan financial freedom for the first time. Blockchain technology could be used for elections in some of the most corrupt countries in the world. What is cryptocurrency to the people of Sudan or Myanmar? It’s a voice. Free elections could be held without fear of violence or intimidation. Cryptocurrencies can help make the world a fairer, safer and more peaceful place for us all to live in. Final Thoughts: What is Cryptocurrency? So far, you’ve learned what cryptocurrencies are and how they work. You also know how to store them and where to trade them. However, understanding cryptocurrency is more than just understanding blockchains and mining. Understanding cryptocurrency is about understanding what those technologies can do for you. Cryptocurrencies have the power to change our lives forever. They can help you take back control of your money and your information. Some people will ignore them and hope they go away. Others will join the party. Which will you be? In this guide, I’ve told you everything you need to know about cryptocurrency. What is cryptocurrency to you? The article did not answer the questions I have about the subject. In standard currency your work is worth something (say $50/h) and all goods and services have a price (say $5 for a burger). In order to buy a burger, you have to work and get paid. The money to “play” comes at the end from a Central Bank (pretty much like the Monopoly game: the bank gives you money every time you do a cycle around the board -your work pay- and then you can buy anything as long as you have money). All this process is not mentioned at all in the article. How does cryptocurrency eliminates the bank, how a regular Joe gets paid in cryptocurrency and how I buy a burger with it?